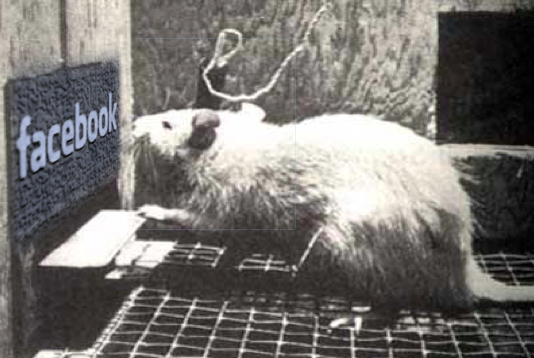 I’m simultaneously a behavioral researcher, an ethicist, and a hopeless Facebook addict, so I’ve been thinking a lot about last week’s controversial study (Kramer et al, PNAS 2014) in which researchers manipulated the emotional content of 689,003 Facebook users’ News Feeds. In summary, users who saw fewer of their friends’ posts expressing negative emotions went on to express more positive and fewer negative emotions in their own posts, while users who saw fewer posts expressing positive emotions went on to express more negative and fewer positive emotions in their posts. This provides evidence for “emotional contagion” through online social networks—that we feel better when exposed to other people’s positive emotions, and worse when exposed to negative emotions. This finding isn’t obvious, since some have suggested that seeing other people’s positive posts might make us feel worse if our own lives seem duller or sadder in comparison. 1. This controversy is taking place against a backdrop of more critical scrutiny of informed consent among ethicists. While bioethicists in general have traditionally advocated strong informed consent requirements in the name of participant protection and self-determination, in recent years there has been an opposite trend emphasizing that such requirements are burdensome and may inhibit important research. Last year we saw a controversy over a neonatal ICU clinical trial, in which many experts criticized regulators’ strict interpretations of informed consent. More recently, some prominent figures have suggested that informed consent requirements in medical research should be relaxed, particularly for “big data” studies made possible by electronic medical records and coordinated health systems. Much like with the Facebook study, these researchers and ethicists believe that new technologies hold promise for new ways of conducting research to promote health, and worry that these possibilities may be closed off by our existing ethical frameworks. 2. What’s “research”? One irony of this controversy is that Facebook manipulates users’ News Feeds all the time—they don’t show you everything that your friends post, but use a filter that they’re always tweaking “in the interest of showing viewers the content they will find most relevant and engaging.” (In other words: so that you’ll keep coming back and they can show you ads.) These tech firms take a relentlessly empirical approach to everything. Google once ran 41 experiments to figure out which shade of blue made users more likely to click on ads. These activities aren’t categorized as research falling under the Common Rule, as typically construed, because they’re not designed to develop or contribute to generalizable knowledge. So, e.g., if Facebook had a purely internal purpose for figuring out how to manipulate users’ emotions by adjusting the News Feed filter, this controversy wouldn’t have arisen. What opens them up to ethical criticism here is that they tried to answer a more general scientific question and published their findings in PNAS. As others have pointed out, this division creates weird disincentives. Experiments on Facebook users to improve Facebook’s own processes and make more money don’t receive this level of scrutiny, but experiments to answer general questions (and that are publicized in scientific journals) do. But the risks to subjects are probably greater in the first case, since Facebook will keep those studies and findings proprietary, and the social benefits are smaller. 3. Social media and technology are creeping us out. I agree with the critics of the study that it didn’t meet existing requirements for informed consent in research; however, I don’t think that’s why people have responded to the story as they have. As in most cases, "the scandal isn’t what’s illegal, but what’s legal." In other words, what many of us really want to know is: what other experiments are Facebook/Google/Apple/Amazon/Samsung running on me that they’re not required to tell me about? Like many people, I have complicated and ambivalent feelings about my dependence on these technology giants. As a researcher, I think that these feelings are a defining feature of our modern lives, and would be worthy topics for further empirical study. In a sense, the broad outcry over this study is an illustration of why such research is so important, though I worry it will have the unintended result of making future academic-industry collaborations in this space less likely.